There’s no denying that Los Cabos is crazy for golf. In early March, top university golfers from the U.S. were competing in the Cabo Collegiate at Querencia, a three-day invitational team tournament at Tom Fazio’s masterfully designed Querencia Golf Club. Last week, the BMW Gold Cup International World Final, a premier amateur competition, was held in Los Cabos on Cabo del Sol’s acclaimed Ocean and Desert Courses. But it’s not just the tournaments, and it’s not just the time of year. Los Cabos is golf crazy all the time, and has been for more than 25 years…ever since developer Don Koll brought Jack Nicklaus to the Capes Region in the early 1990s to craft groundbreaking layouts at Palmilla and Cabo del Sol. Nicklaus was no stranger to the area. He had been flying down for rest and recreation dating back to his early years on the PGA Tour in the 1960s. His familiarity with the land–its contours and spectacular ocean views–allowed him to turn what had previously been known as a sportfishing paradise into a burgeoning golf mecca as well. Over the next 25 years, Nicklaus would craft six separate world-class courses, and set a standard followed by fellow major champions Tom Weiskopf, Greg Norman, Davis Love III and Tiger Woods, all of whom would put their own imprints on the local golfing scene. By the end of 2018, there were 16 courses in Los Cabos, four of which were ranked among the 100 best in the world. It boggles the mind that a small municipality on the southernmost rim of the Baja California peninsula boasts the most amazing collection of world-class courses this side of Scotland, but it’s true. And perhaps the craziest thing of all is that the Los Cabos golf boom isn’t over. Not by a long shot. If you haven’t visited cape cities Cabo San Lucas and San José del Cabo recently, here’s some of the new course news, as well as information on renovations and upgrades to existing layouts. The newly opened Twin Dolphin Golf Club features a design from 1992 Masters Tournament Champion Fred Couples. The sweet swinging 1992 Masters Champion unveiled his first Los Cabos design, a collaboration with Todd Eckenrode of Origins Golf Design, in December 2018. Set between the Sea of Cortez and the Sierra de la Laguna mountain range, the newly minted Twin Dolphin Golf Club features gorgeous views from all 18 holes, and is designed to be challenging yet enjoyable for players of all handicap levels. Like many Los Cabos courses, Twin Dolphin is essentially a private club. However, there are ways for visitors to experience its golfing glories. In this case, guests at the new Montage Los Cabos luxury resort and owners at the new Twin Dolphin residential community all have playing privileges. The Cabo San Lucas Country Club is featuring a fresh new look on its back nine, courtesy of renowned Mexican golf course architect Agustin Piza. Los Cabos enjoys some 350 days of sunshine annually, but the occasional tropical storm does darken the local skies. It happened in 2017, when excessive rainfall from Tropical Storm Lidia did substantial damage to the Cabo San Lucas Country Club course. Originally dubbed Campo de Carlos when it opened in 1994 as a composite design from father and son team Roy and Matt Dye, the Country Club has long been a beloved fixture on the Los Cabos golfing scene. It’s the only local course, for example, with views of Land’s End. The views are still on full display, but the course now looks better than ever thanks to a recent renovation project from esteemed Mexican golf course architect Agustin Piza. Particular attention was paid to the course’s back nine, which was shortened slightly, but given expanded fairway corridors to enhance ocean sightlines. 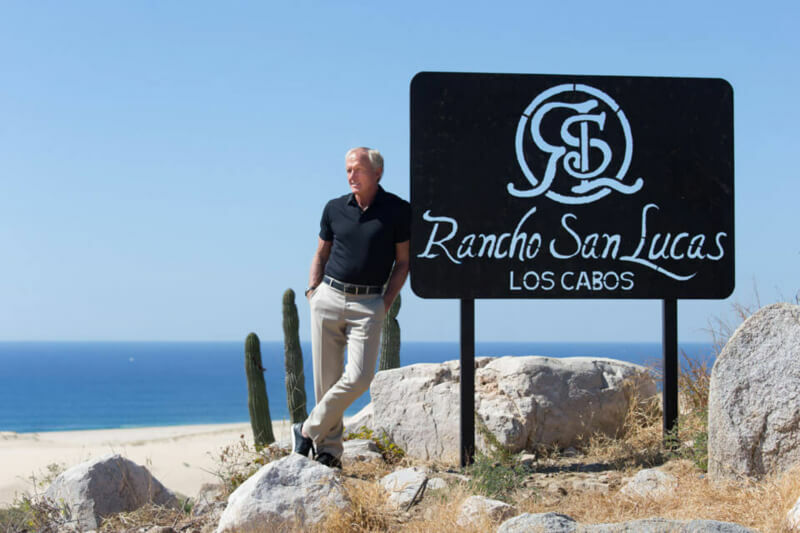 Major champion Greg Norman is about to unveil his second Los Cabos design at Rancho San Lucas, on the Pacific Coast north of Cabo San Lucas. 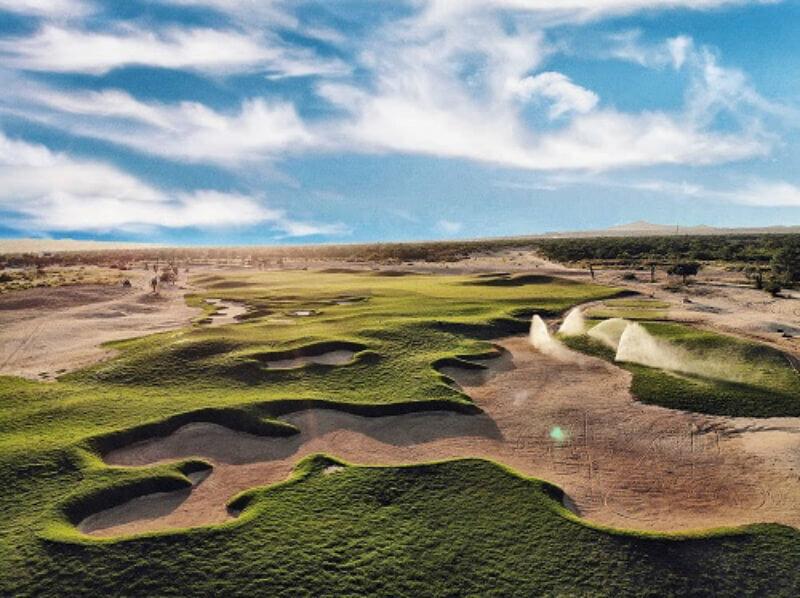 The hits just keep on coming, with more courses in the works from Jack Nicklaus, Tiger Woods, Greg Norman and Robert Trent Jones Jr. Nicklaus is adding a second 18-hole layout to accompany his first at Quivira, a masterpiece that hugs Pacific Coast cliffs just north of Cabo San Lucas. Woods is returning once again to Diamante, the Pacific Coast community which neighbors Quivira. Woods has already crafted designs for Diamante at El Cardonal and Oasis, but has signed on to create a third course. Norman, too, is returning to Los Cabos. His first effort, a composite course at Puerto Los Cabos with Nicklaus, remains in flux, as Nicklaus has since expanded his original nine to a full 18. As of now, Puerto Los Cabos, like Palmilla, offers 27 holes, allowing visiting golfers to mix and match their 18-hole experience. Norman is expected to return eventually to expand his own nine there to 18, but before that happens he will unveil his new 18-hole course at Rancho San Lucas, which like Quivira and Diamante is located on the Pacific Coast north of Cabo San Lucas. 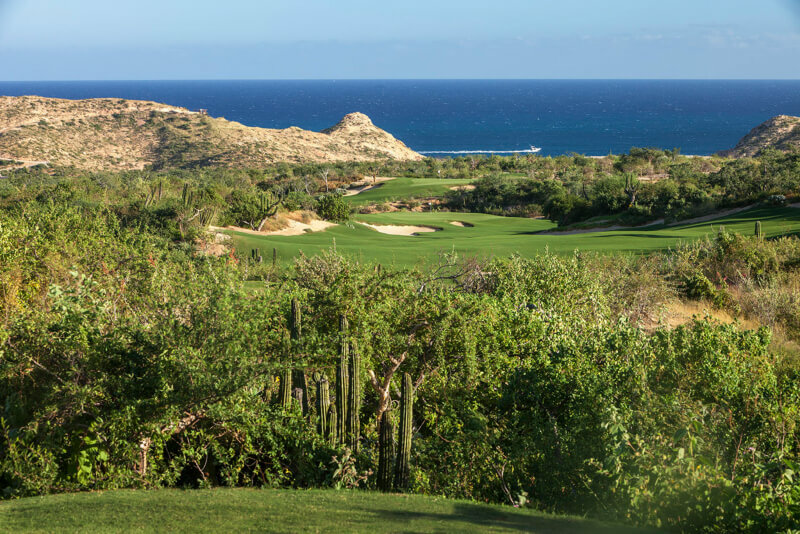 Robert Trent Jones Jr, best known in Los Cabos for his exceptional layout at Cabo Real in the Tourist Corridor, is now at work on the municipality’s East Cape, crafting a new course to accompany the new Four Seasons at Costa Palmas Resort. Expect all four to open sometime between mid-2019 and 2021. See? We told you Los Cabos was golf crazy.